Juke Joint Sat'day Night is a painting by Julie Schronk which was uploaded on January 15th, 2010. This is an example of the type of black folk art I am most well known for. I love to paint the juke joints of long ago. 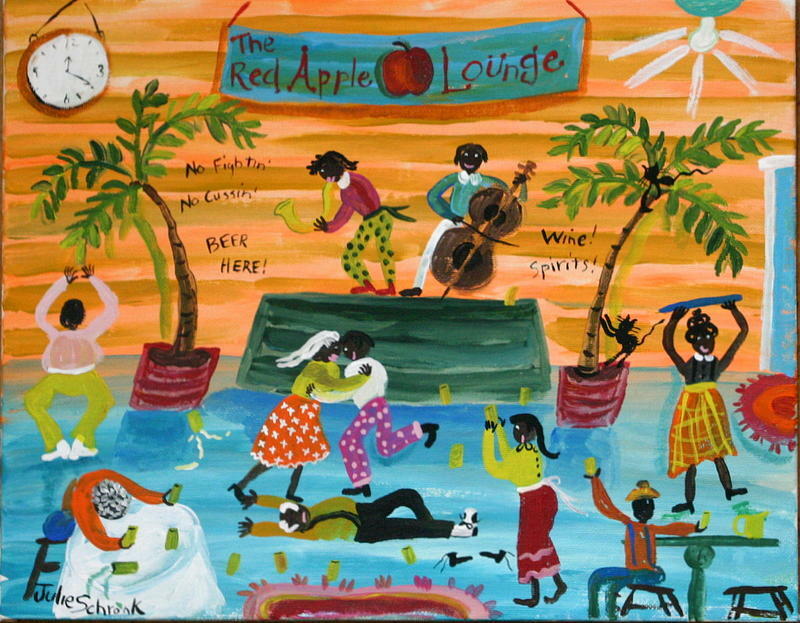 This is the Red Apple Lounge!!! Lots of jukin' and jivin'!! There are no comments for Juke Joint Sat'day Night. Click here to post the first comment.